It is fair to say that the size 185/70WR15 is predominantly associated with the early Porsche 911 as this tyre was original equipment on a 911 from 1969 when the CN36 first came out right through till 1986 when they went slightly larger on the front, having of course adjusted the car to suit more modern tyre carcasses. There has been some extensive testing of what tyres suit the early 911 best and the German article below proves categorically that the CN36 CINTURATO ™ is the one, this is backed up by Porsche awarding these tyres the N4 Porsche homologation. In 1972 Porsche fitted wider rims to it's Carrera and RS models and they fitted a 215/60WR15 PIRELLI CINTURATO ™ CN36 as a rear tire. This tire is also currently being produced by PIRELLI and is homologated with the N4. As time went by the 911 fitted the larger tyres across the range right into the 911 SC models it was fitting 185/70R15 CN36 on the front and 215/60R15 CINTURATO ™ CN36 on the rear. 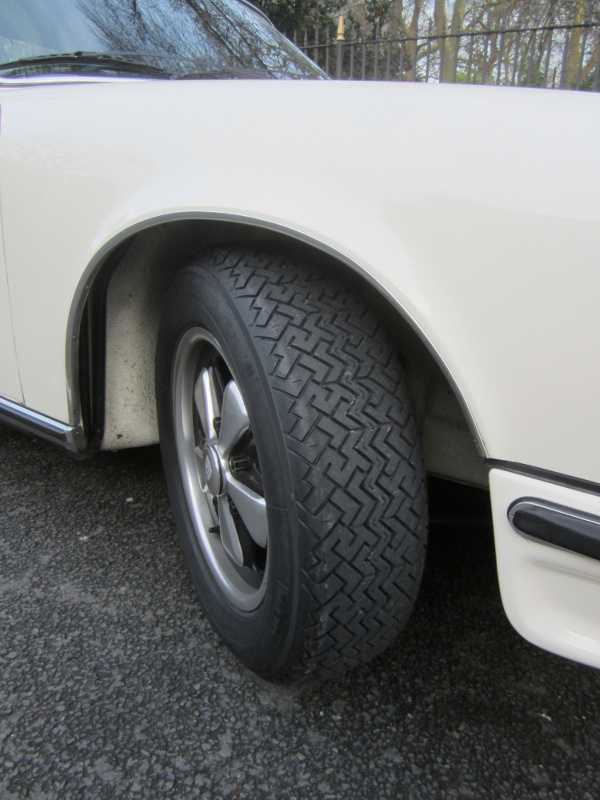 This page shows you a fitment guide for Classic Porsche tyres. Although not a great deal of cars actually fitted the tyre size 185/70x15 and standard equipment, many cars such as Volvo P1800, Triumph TR6 Porsche 912 for instance that would have originally fitted the tyre size 165R15 might want to fit a more modern up to date low profile tyre, and a 185/70R15 would have the same overall diameter while offering a wider section. Under these circumstances PIRELLI's CINTURATO ™ CN36 would be an excellent choice, because although it is a wider tyre it is designed with these sorts of cars in mind. Where a more modern tyre of the size 185/70R15 would have a very different carcasse, designed to be used in different circumstances. 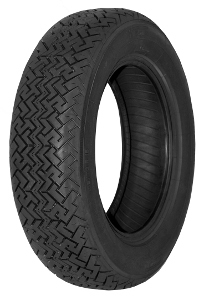 The Overall Diameter of the 185/70 WR 15 PIRELLI CINTURATO ™ CN36 N4 is 632 mm and the width is 183 mm. For more information on the 185/70 WR 15 PIRELLI CINTURATO ™ CN36 N4 please see below or call +44 (0) 1302 711 123.